Attractive BT710-4 speaker assemblies combine the sound performance of a full range 4" high compliance speaker with the job site convenience and economy of a factory-assembled speaker, transformer and baffle. Model incorporates the popular AtlasIED FC104 high performance speaker, recognized for full-range voice and music reproduction. Unit provides wide-angle sound dispersion to achieve desired coverage with fewer speakers in distributed systems. 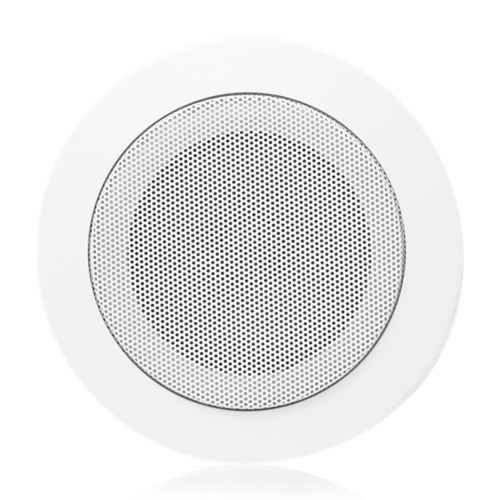 Speaker employs a 10 ounce ceramic magnet and a damped, high-compliance cone to provide excellent low-frequency reproduction with smooth extended response. Package includes factory-mounted, dual-voltage 70.7/25V transformer and round with screw mount. BT710-4 package are shipped assembled and ready for installation.